Overview – How Can Da Buddha Vaporizer Help You? 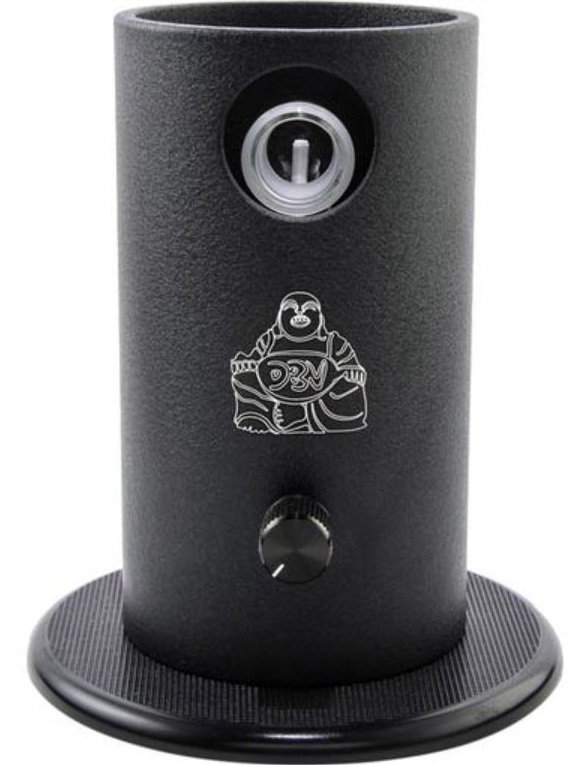 Da Buddha Vaporizer will provide you with a great experience in vaping medical marijuana. 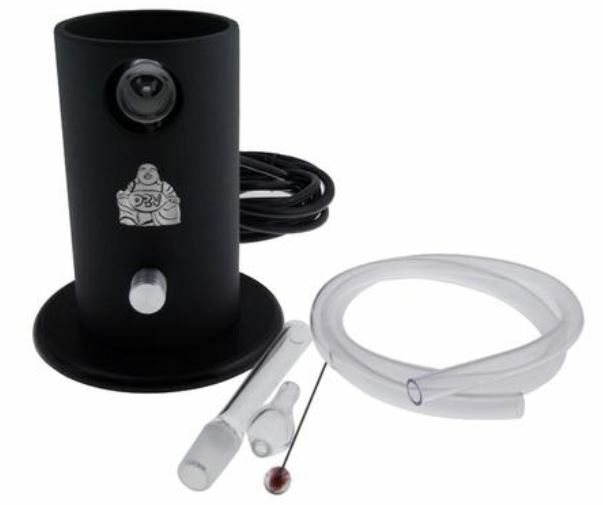 Throughout our Da Buddha Vaporizer review, we will describe the desktop vaporizer as much as possible. Hopefully after reading its pros and cons and our overall opinion you’ll be able to decide if this is the desktop vaporizer that best suits you. Bottom line is that the Da Buddha will give you the medical marijuana vaping experience that you deserve. You’ll get quality vaping sessions from a quality product that’ll last you a long time. You’ll also avoid the unhealthy smoke that comes from cheaper vaporizers of lesser quality. Da Buddha Vaporizer is made by the 7th Floor. This vaporizer is one of the best vapor products on the market thanks to its ceramic heating and glass-on-glass elements. These result in one of the best vapor productions on the market. The vaporizer’s country of origin is the United States and its components are all America made, ensuring its quality is guaranteed. Da Buddha is a ‘top of its class’ whip style vaporizer. The primary problem with whip style vaporizers, however is that they have small herbal chambers. However, Da Buddha overcomes this problem by having an extra-wide chamber. The device can also reach vaporizing temperatures in just under 2 minutes, which is relatively a short time compared to its competitors. Temperature can be adjusted by using the knob on the front of the cylindrical vaporizer. This is one of two main temperature regulator systems on the market today. Many vaporizers come with a knob that can be adjusted to control the temperature. The other variation is digital vaporizers where you adjust temperature digitally. This is somewhat more accurate, but the digital vaporizers are more expensive. If it’s not important for you to adjust the temperature with the utmost specification, then you should save your money and go for a vaporizer with a temperature knob such as the Da Buddha. The device’s price of $189 is a special bargain. You won’t find many other high quality vaporizers under $200. In fact, there are many vaporizers of lower quality that are more expensive than Da Buddha. Da Buddha also provides hands-free vaping thanks to its ground glass hands free feature. It comes with a 3 year warranty. But beware, the warranty doesn’t cover any of the glass components. However, you’re unlikely to need the warranty anyway. The product is sturdy and well built. Additionally, it comes with a padded storage bag. So if you want to take it with you on a trip, you don’t need to worry about damage resulting from rough handling. Just pack it in the padded storage bag that comes with the product and set your mind at ease. Maintaining the desktop vaporizer is easy as straight forward. Maintenance is not an issue you need to worry about. Just give the vaporizer a quick clean every few months and it’ll stay in tip-top condition. You’ll find more details on cleaning and maintenance below. • Switch on the device. • Adjust the temperature to your liking using the temperature knob (most users recommend setting it to the 2 o’clock position for the best vaping experience). 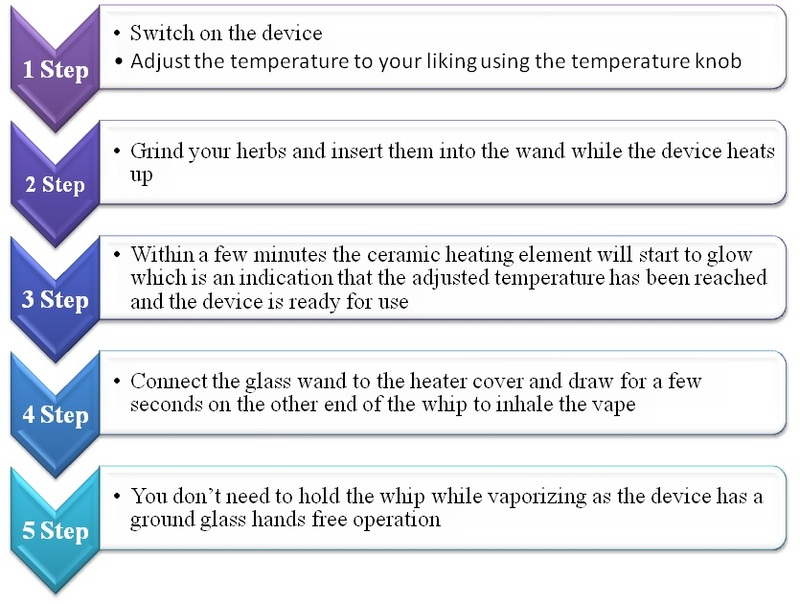 • Grind your herbs and insert them into the wand while the device heats up. • Within a few minutes (usually 2-4 depending on your temperature settings) the ceramic heating element will start to glow which is an indication that the adjusted temperature has been reached and the device is ready for use. • Connect the glass wand to the heater cover and draw for a few seconds on the other end of the whip to inhale the vape. • You don’t need to hold the whip while vaporizing as the device has a ground glass hands free operation. • You should replace the stainless steel screens and whip tubing every 2-3 months depending on how often you use the vaporizer in order to keep it running in optimum condition. • The glass pieces should be soaked in Agent Orange or Orange Chronic to remove residue that may accumulate with normal usage. • If you’re not going to use the vaporizer for a while then it’s best that you unplug it and store it somewhere clean to prevent it from getting damaged from any dust or sunlight. 2. Great price at under 200$. 4. Extremely easy to use through a couple of steps. 6. Great medical marijuana vaping experience. 7. Comes with a padded bag for traveling purposes. 2. Can’t be used to vape oils or waxes, only works with herbs. 3. Warranty doesn’t include glass components. Da Buddha’s customer support is best done by contacting 7th Floor directly and they’ll be able to fix the issue you’re facing. You can also contact www.VaporNation.com and they’ll help you with anything you need. They will even help you get in touch with the 7th Floor. Our final verdict is that this is an excellent vaporizer, which is why we’ve given it a 4.4/5. Its hands free operation, easy usage and maintenance, great price, as well as top vapor quality, all make it one of the leading desktop vaporizers on the market today. It’s only shortcomings are lacking a balloon system, restriction to herbs, inability be used to vape concentrates. It’s definitely one of the best products you can use to vape medical marijuana. In addition, it comes at a great price. You won’t need to look for a replacement anytime soon due to its high quality. Da Buddha is here to stay! If you’re someone who already owns or is using Da Buddha, we would like to hear what you have to say. If you are someone still looking into buying a desktop vaporizer then we hope our Da Buddha vaporizer review was able to answer all of your questions.